If you haven’t noticed before…for the new visitors…this is our grandson who we call “Little Man” also known as the light of our life! Seriously, when my daughter and Little Man fed the giraffe the piece of lettuce and his face just lit up and he giggled…life just doesn’t get any better than this folks! Have you ever had a really great post almost done, but you have not a clue what to title it? You can sit there for who knows how long before the idea comes to you! Right? I upload my blog titles in advance as I create and or discover them. Let me give you an example: I am driving along on a highway and I see a billboard that says, “It’s A Zoo Around Here!” It might not even be about a zoo, it could be advertising on a cluttered office space. But my wheels start spinning…what could I use this for? I get out my little notebook that I have on me at all times and jot this idea down. When I arrive home, I will go to the blog and upload a new post with that cute title on it. It will just sit there until I have an article or images that will fit with this theme. Do you know what my family and friends hear a lot, if they say something funny? “Oh, I am SO using that on the blog!” “Very cute I tell them,” they just smile. I arrive home later…yes, you guessed it. I upload that funny saying on a blog post title for future use. See how this works? 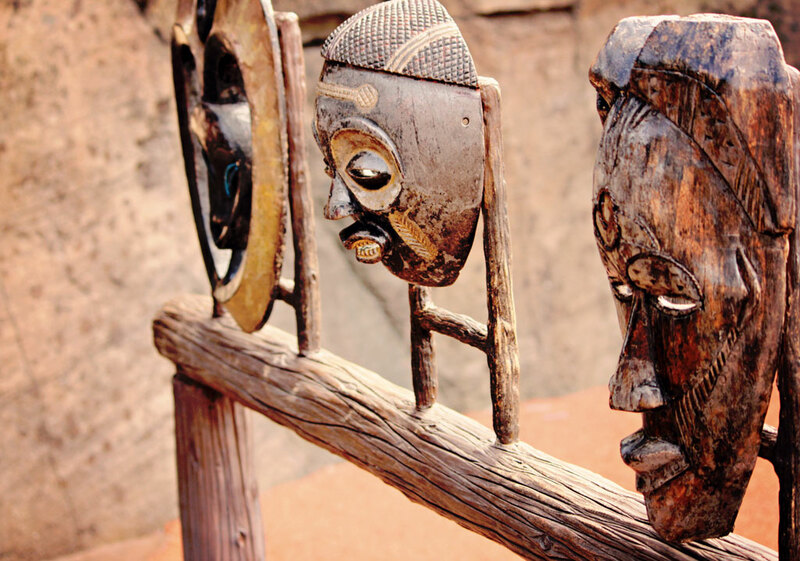 No more mental stumbling blocks for blog titles. If you are a first or second time visitor, be sure to join our email list, so you won’t miss the tip of the day for photographers and bloggers alike! OMG – amazing photos! Little Man is so divine!! awesome pics od special moments! Wow those are wonderful! I haven’t been to the zoo in years. The grand kids do love to go. Thanks for linking with me. Wow, I feel like I could just walk into these photos and be there. I do enjoy your tips of the day. What a precious little fella he is! 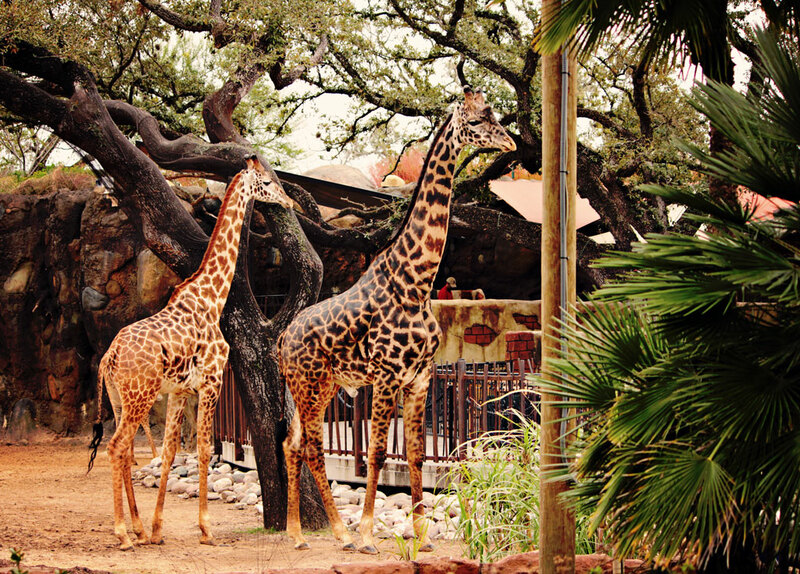 I love the giraffe photographs, especially the fourth one. I took my granddaughter to the zoo the first time when she was 2 years old…it was the most fantastic time! She loved the Giraffe’s the most I think. 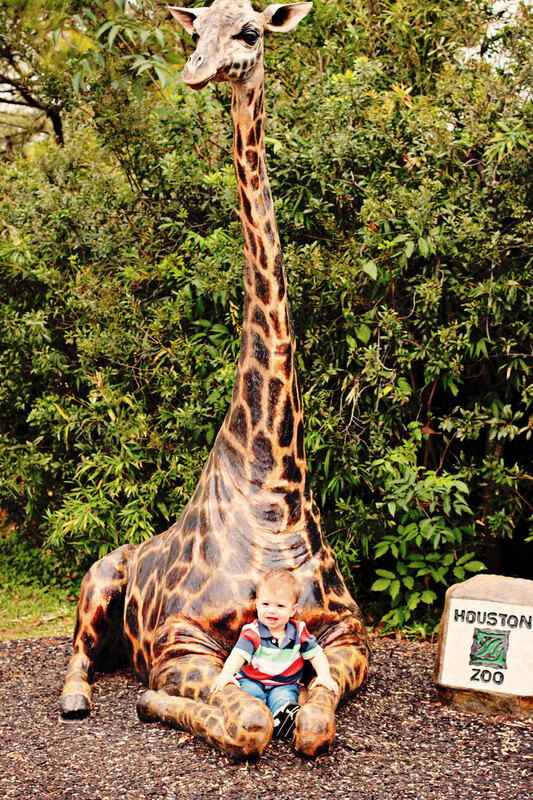 I love, love, love the picture of your Little Man sitting with the giraffe…at first glance I thought it was real! Great tip and I love the pic! We called my son “Little Man” for years and the Houston Zoo is awesome. We were members for a year when we lived there. Great shots! Looks like the zoo was a lot of fun. I also loved the tip of writing down ideas for blog post titles as they come to you so you can use them later. 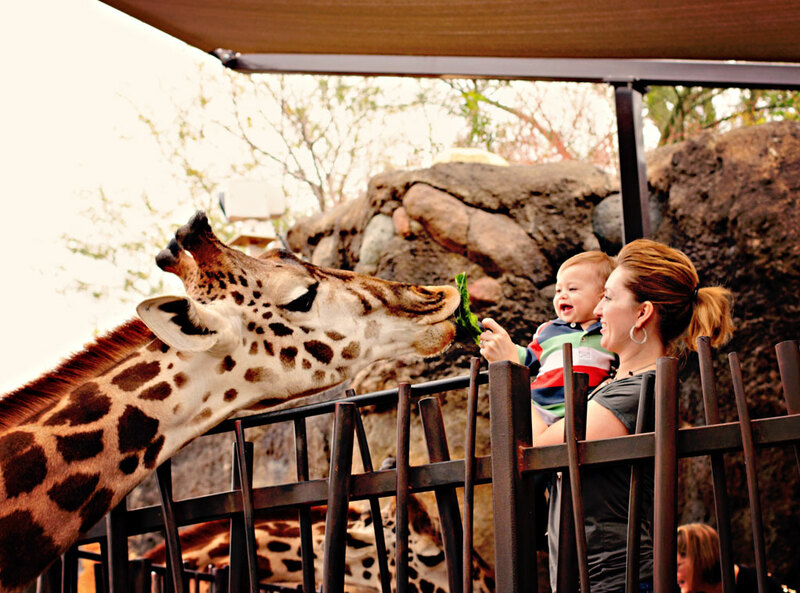 I love your photos, especially the one of Little Man feeding the giraffe. Your tip of the day was great as well. I look forward to following you and seeing what other wisdom you share. 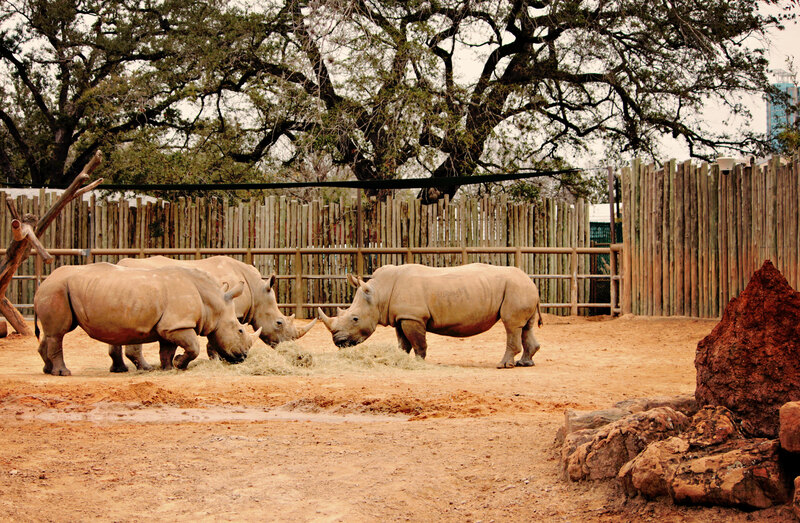 Beautiful creatures in the zoo. Wow, what a lot of fun! What a fun day with such a cute little boy. Ah, the giraffes are my favouriutes! Love them, they are just look so darling and endearing 🙂 thank you for sharing! Great tip Laurie and wonderful photos looks like everyone had fun.. Nothing beats having grandchildren, nothing. I love the photos, especially the giraffe. It’s so difficult to get good shots of zoo animals, at least for me! Thanks, too, for the tip on titles. That’s always my last thing, and I often just write something a second before publishing. So I’m going to try out your idea! Gorgeous photos; especially the giraffe pictures! The zoo is always fun! Those giraffes are impressive, so regal-looking. And that last photo of your little man, you could blow it up and hang it on the wall, it is that cute. Great zoo shots and of COURSE the best were those with “the Light of Your Life” in them. Little boy giggles.. precious! Thank you for coming by sharing your creative photography on Weekly Top Shot #72! Great title, great shots and oh gosh, what a cute little man! 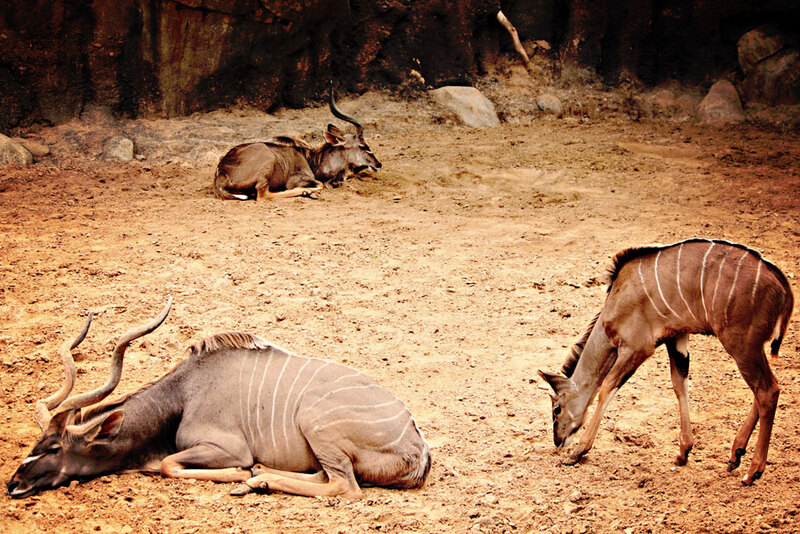 Wow – you have some BEAUTIFUL zoo photos here!! Looks like you & your grandson had a wonderful time at the zoo. Your pictures are wonderful and you’re right — the joy on a grandchild’s face — it just doesn’t get any better! Great tip (and great reminder) about the blog title and one I will use, I also do something similar with blog ideas. I will create draft posts that may just have a few words or a picture but something I want to remember to blog about but don’t have the time to do right then. Then when I need inspiration I have some! Just stopping by from the GRAND Social Linky Party. Hope you get a chance to do the same! Your photos are gorgeous! Of course Little Man is adorable. I have a grandson also and he too is the light of my life! I so understand! Thank you for joining in Gratitude Sunday! I’d also like to invite you to join Orange You Glad It’s Friday. It’s an Orange meme too and starting March 11, I will be hosting it at Life’s sweets and spices. Hope to see you there. Great shots. For a second I thought the one giraffe was real! Ha! Oh what a gorgeous post. Looking at the two first pictures, I thought you actually went to Africa 🙂 Your Grandson is absolutely adorable!!! Great shots! Little man is sooo cute. Love the way you processed these pics. Perfect! And I love the giraffes especially — and the one with Little Man and the giraffe is a stunner. So great, Laurie! He is a beautiful child, his smile infectious. Certainly the giraffe thought so, although the lettuce was likely as attractive to this long necked animal! That giraffe with its ‘legs’ surrounding the boy looks so real – just like the smile. Great post! Love these with the giraffe! We had an opportunity to feed them while living in Thailand and it was so fun. Their heads were enormous! Little Man clearly is having a good time. Love your tips! I dove into SEO finally this week after all this time of knowing I needed to. That stage of a baby is the cutest, with those two front teeth! On the other hand, i sometimes record some good phrases too, sometimes they really come handy! Love the giraffes! Great shots! The giraffe pictures with your grandson are so cute. 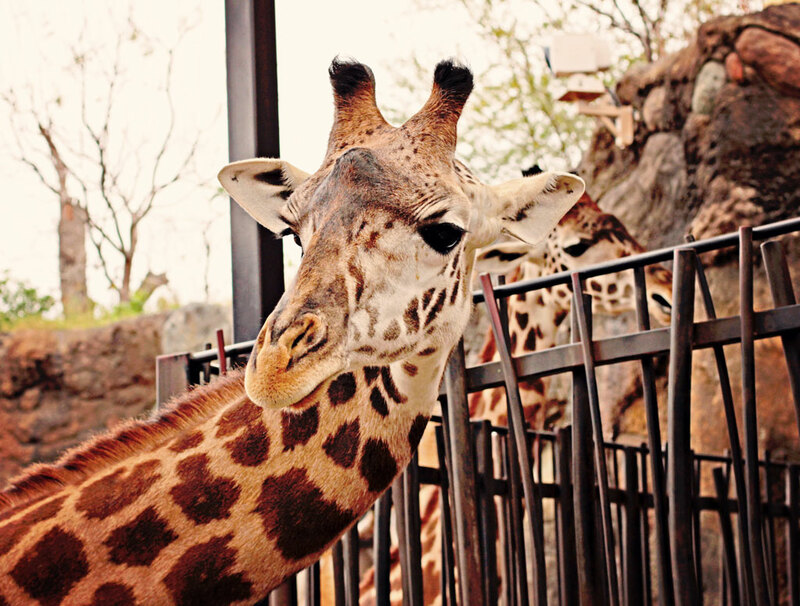 Beautiful photos – the giraffe is my favorite animal, tied with the zebra that is…. 😉 You did a fantastic job showing off the the beauty of the giraffe. Love “little man” with the giraffe. Your tip of the day is an excellent idea. I will definitely try it. I did try twists on song titles and lyrics in the last two posts. Great images!! Especially the giraffes 🙂 And great tip — I actually have done that — thought of great titles and then built posts around it. Wonderful pictures. Your grandsons eyes get me every time. He is so adorable! Looks like Little Man really enjoyed the animals. You have captured some terrific shots of the giraffes….one of my fav at the zoo. Your photo’s are always so wonderful. I can’t believe they let you take them with the giraffe, that’s so special. That’s a fun tip. I do start a lot of posts when ever the notion strikes. My draft file is always filling up. Good tip on the titles. My trademark is kind of to have my last sentence in the post be my title, so that’s my challenge. Just something I committed too. Adorable. What a great shot of Nolan feeding the giraffe!!!!! I love the one of him sitting with the giraffe. Precious. GREAT PHOTOGRAPHS! Your little man is so adorable! Thanks for the tip today, as this is a good one. I do this too, but I don’t save the titles like you do (but that is a fantastic idea), but I have seen headlines in the newspaper and I’ve cut them out to use as a good title one day. Also, try to do a spin on your words too, and that makes a great headline. Keep your tips coming, they are awesome! Love your photo of the zoo.. And thanks for the tips. Precious boy!!! I love the blog tips. I never would have thought of writing down the ideas like that. Titles are something I definitely struggle with. I love the pictures of the giraffe. Looks like “someone” is going to enjoy going back to the zoo time after time! Great pix! Love the giraffe pictures. We went to the Cheyenne Mountain Zoo in Colorado Springs a few years ago and they have a great giraffe area, with crackers to purchase to feed them. Great memories. Wonderful tip of the day. I usually don’t struggle with Titles, but I do keep a note book handy for things that come to me about a post I am going to write. Or I dictate to my iPhone if I am out walking.